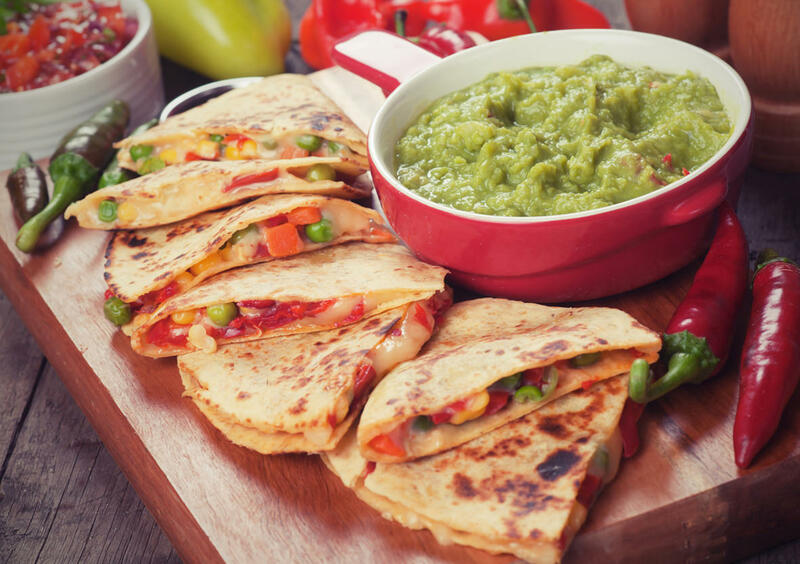 Combine flour, baking powder, salt and paprika in a medium bowl and set it aside. Combine milk, egg and salt together in another bowl and set aside. In a third bowl, pour the breadcrumbs and set aside. Cut the onion into approximately ½-inch rings and carefully separate the rings from each other. 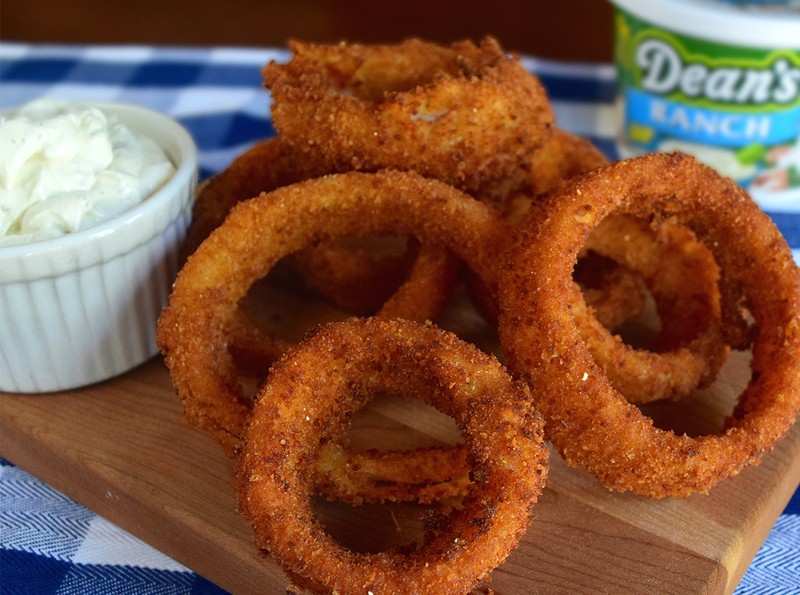 Coat each onion ring in the flour mixture, then transfer the rings to the milk and egg bowl and coat. Lastly, transfer the onions to the breadcrumb bowl and coat evenly. Heat oil in a pot until ready for frying. Fry each onion ring until golden brown on all sides (about 10 seconds). 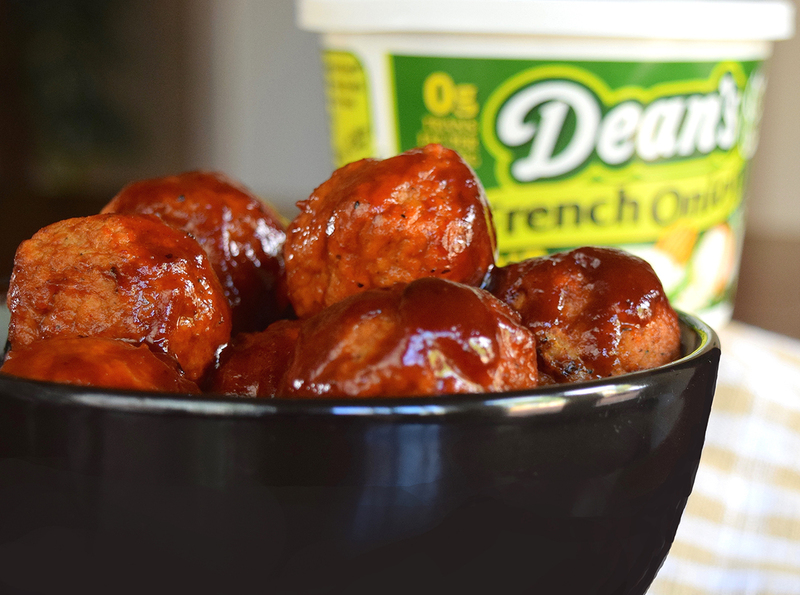 Serve warm with Dean’s Ranch Dip for dipping.